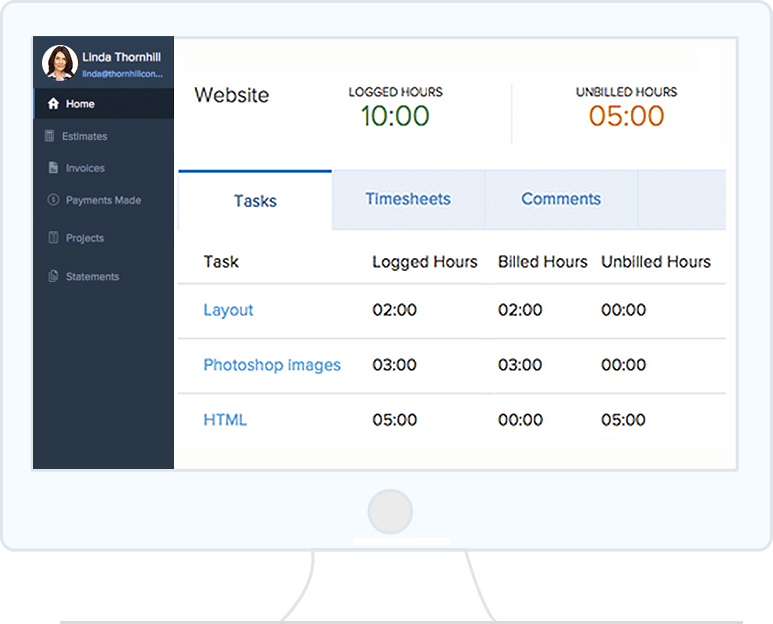 Offer your clients the convenience of accessing their estimates, invoices, and timesheets in a single place. With the Client Portal, your clients can keep track of all their transactions with you. 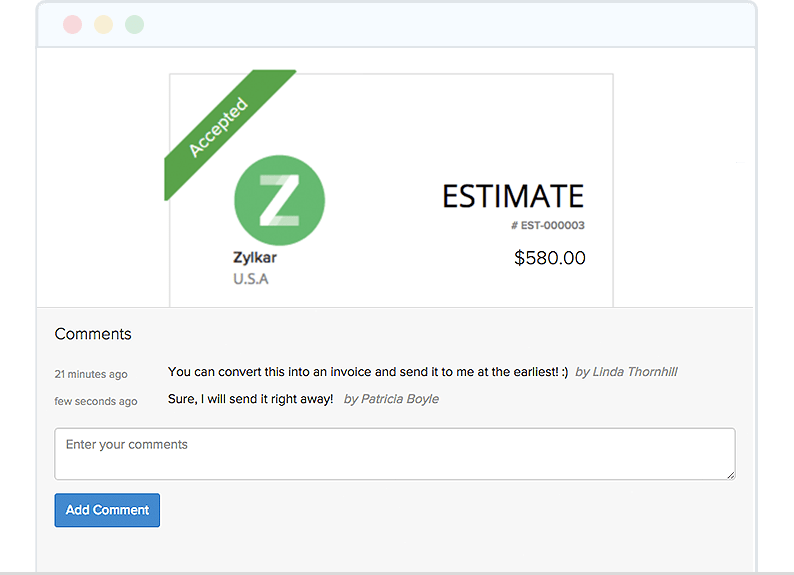 Zoho Invoice will notify you when your clients have viewed or paid for an invoice with a real-time status view. Enable the option to share project details, so that your clients can view projects, associated tasks, and logged and unbilled hours. Your clients can also make advance payments for their projects through the portal. 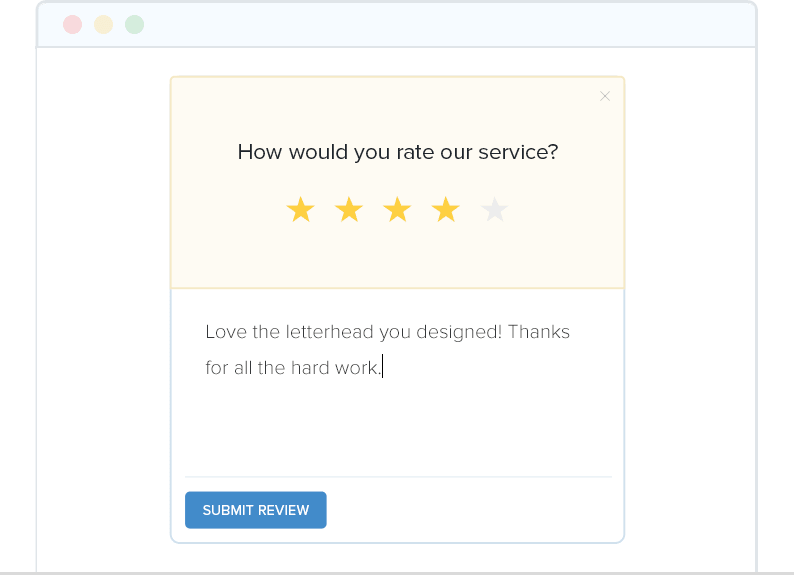 Your clients don't have to wait for you to send their statement of accounts any longer. Now, they can simply download a PDF copy, or print them through the Client Portal. No more back-and-forth emails when trying to finalize an estimate or negotiating a deal. 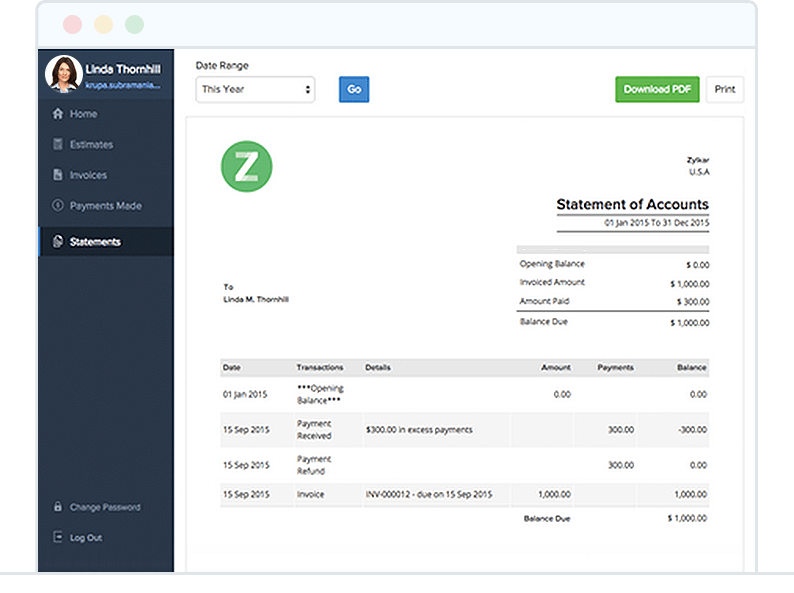 With Zoho Invoice's client portal, you can collaborate with your clients in real-time. Receive reviews from your clients through the Portal. Easily keep track of the reviews and ratings through the Contacts section and share them on social media. How can my customers pay me through client portal? Making payments through the client portal a matter of few clicks. Your customers can make payments through Client Portal by clicking on the pay now button and choosing the mode of payment. Can my customers store their card details in the client portal? Yes. Customer can save their card details in the client portal and pay for invoices easily. 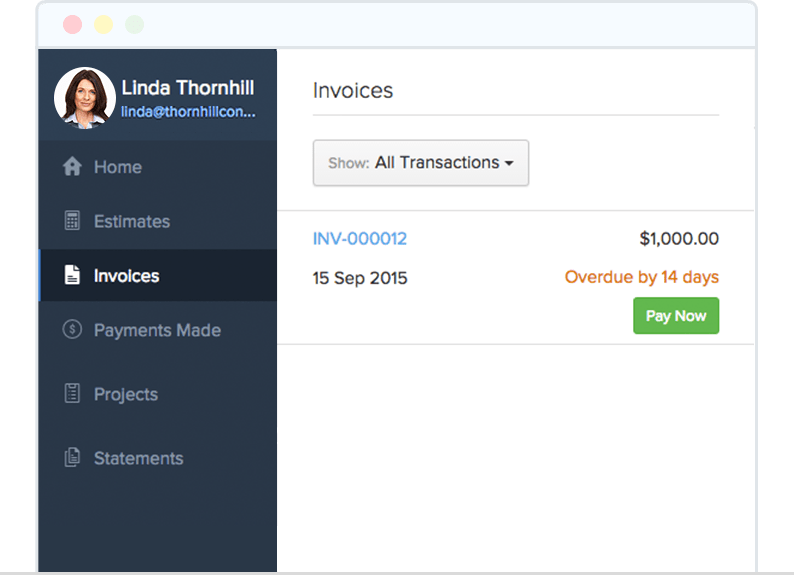 Sign up for Zoho Invoice for free today!